Live adventures in Milan? Now you can. Perhaps, you don’t know that Milan is the most adventurous city of Italy. It’s full of stories, intrigues, quarrels, wars, loves. It’s a very big misterious treasure to discover step by step. How? Walking, play. With your imagination and with our OpenCityApp. A magic place can cross the time. Often, tourists from Europe, from all over the world, asks himself: how can I enjoy Milan without getting lost in queques? We have a solution for you: do you know OpenCity App? It’s a web application you can download on your smartphone. Thanks to it, you can choose many adventures for discover Milan, playing, solving enigmas, meet many stories you never heard. 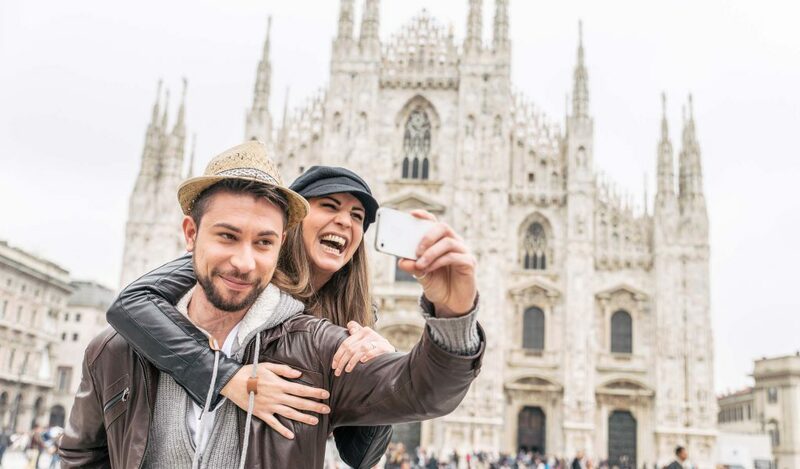 You can have everything you need to visit Milan in your smartphone. But you have everything you need to enjoy the city in your smartphone, too. Milan is a city with so many nuances that, after downloading OPenCityApp, you will choose the contents you prefer, according with your passions: do you like historical persons? We have an adventure that tells about Leonardo Da Vinci. Do you like football? We have two adventures about Ac Milan and FC Inter: you can discover the secrets about the two famous teams, during a wonderful walk in Milan ends in S.Siro Stadium. Have you children with you? We have two adventures that allow you the secrets of Milan through Elves and other fantastic stories. Something you really didn’t expect.